Since Ben got his tablet for his birthday I’ve been particularly aware of sticky fingers marks on screens. I often give his tablet a good wipe over with a bit of kitchen roll or a dry cloth but that just seems to smear the marks. 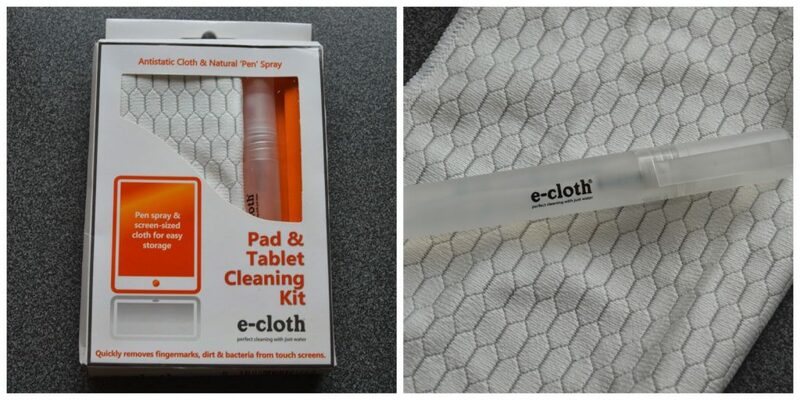 I can’t say I wasn’t a bit excited to received the e-cloth Pad & Tablet Cleaning Kit to try out – I’m not even joking! I couldn’t wait to give it a go. The kit consists of a finely woven antistatic cloth and a pen sized spray containing de-ionised water. You basically give the screen a wipe over with the dry cloth, give it a light misting with the spray and then wipe over again. So easy and ridiculously effective! 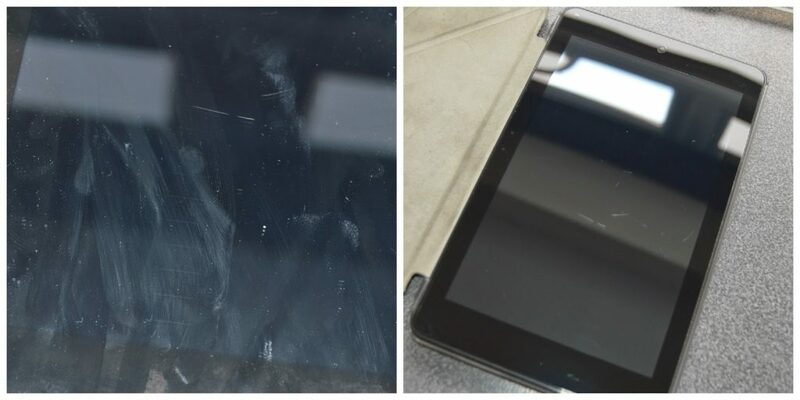 Here’s the before and after of Ben’s tablet. . .
From streaky finger marks to positively gleaming! I don’t think my laptop screen has ever been so clean! I can’t believe how dusty and horrible my screen was! I knew it was a bit grubby but really?! Yuck. I was stunned with the difference the e-cloth Pad & Tablet Cleaning Kit made! 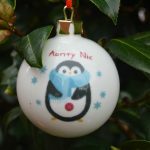 I’m definitely going to be keeping this one on standby now. 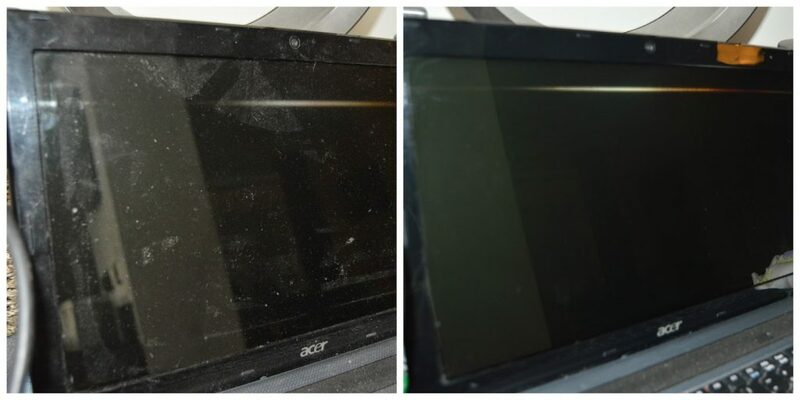 There’s no excuse for a mucky screen with the e-cloth Pad & Tablet Cleaning Kit that’s for sure!